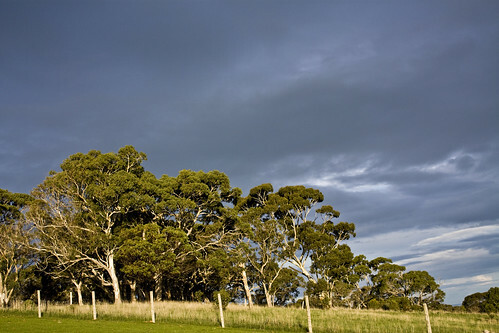 Although I’d never admit it in an online profile of any sort I do like going for a drive in the hills – in this instance going up to the Adelaide Hills when they’re beautiful and green and lush. Because we’ve had so much rain this autumn and even in the first week of winter, the hills are just gorgeous at the moment. 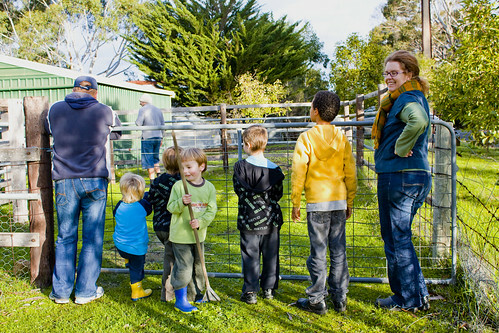 On the weekend we visited some friends in the hills who have a bit of land attached to their property. The trees in the background are theirs. 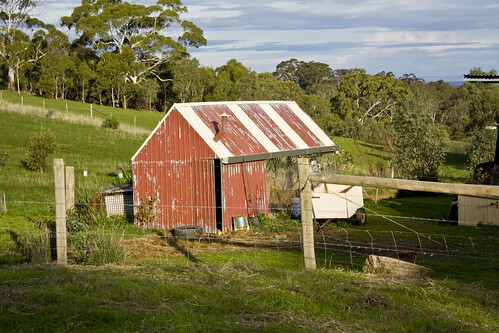 So is the chook shed. I’m surprised JJ didn’t go in there for a long time doing some chicken talking. But he probably didn’t because they weren’t actually in their home, but nestled up in a nearby shed. 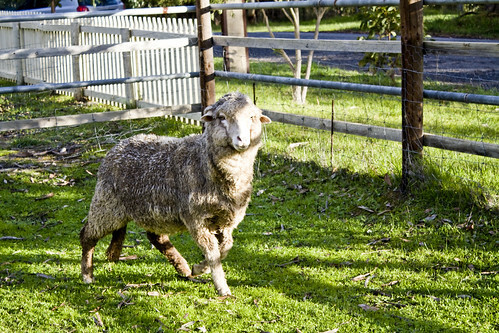 While we were there we noticed one of their sheep had a limp so we herded them into a small yard so the sore leg could be examined more closely. I grew up on a farm that had sheep so I’m quite used to the ways of sheep, including them not wanting to go anywhere near a human if they can help it. 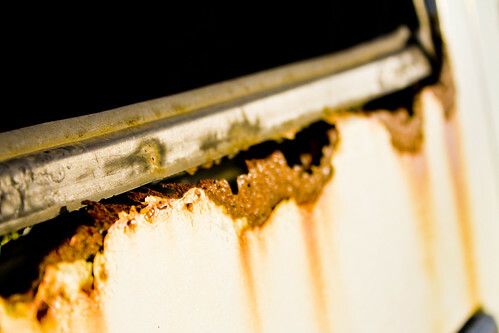 On any country property that has a bit of room there’s inevitably something rusty. This is from a car that’s been cannibalised for spare parts. I’d planned to head home for dinner but we ended up staying (not that late) so our drive home was in the wet, dark and cold but when I got home I lit the fire which I’d prepared earlier and had a quiet night at home in front of the fire – another thing I would never say in an online profile of any sort. What a lovely time you and JJ must have had! You’ve had rain this Autumn?! Lucky beggers lol. Jayne, they are the simple pleasures of life aren’t they but so very cliched. Yes, we’ve had a good amount of rain and hopefully it continues. 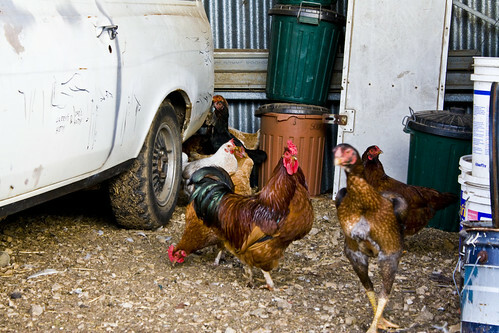 Chooks, rusty stuff and farmlife. You are speaking my language! And a warm fire to boot! Oh, how I miss the fires out at my mom’s house. Every night. Those fires got me through the first year. Ms Single Mama – Fires hold a strong association with me for my son’s first few months. He was born in winter and I had the fire going all the time. I’d get up for late night/early morning feeds and get the fire going again so we could keep warm. Thanks about the pictures. I’d been having withdrawals for not shooting anything much for a little while!